Kids TV Channel / Spacetoon is an Arabic television channel that specializes in animation and children programs. It began broadcasting in March 2000 with headquarters in Damascus and Dubai. 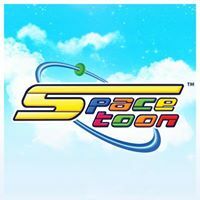 The Spacetoon company has had three now-defunct channels in the Arab world besides the main still existing Spacetoon channel: Space Power TV, Spacetoon Radio and Spacetoon English. The main Indonesian channel began airing on March 24, 2005 in Jakarta, it later became NET. and its broadcast remains on satellite terrestrial television. Currently there are three Spacetoon channels in Indonesia, Spacetoon, Space Shopping and Spacetoon Plus. In India Spacetoon India exists as licensing company but not as TV channel. In South Korea Spacetoon launched in 2005 but has since closed down.